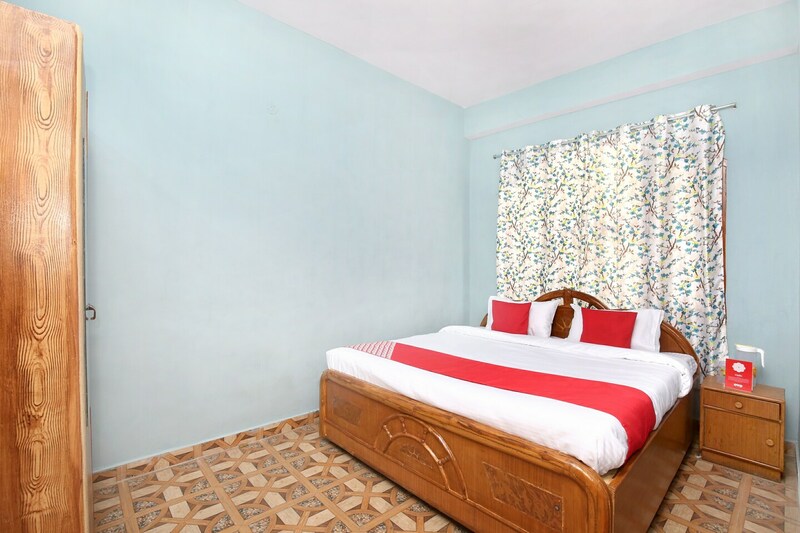 Catch all the action in Shimla while you enjoy a comfortable stay at the centrally located OYO 13740 Home pleasant View 1BHK Apartment Panthaghati. OYOs skilled and friendly staff is always on their toes to cater to all your requirements. The rooms have been designed per the taste of modern travellers with each element of decoration chosen passionately. You can find all the amenities like Room Heater, CCTV Cameras, Refrigerator to your comfort. Explore the citys trail visiting its top attractions like Jakhu Temple, Bhagwan Shri Kalki Mandir and Tara Devi Temple. After a day full of sightseeing, relax in the restful ambience of OYO. Do not fret if you run out of cash. Theres STATE BANK OF INDIA ATM, State Bank ATM and STATE BANK OF INDIA ATM located at a short distance. Make memories in Shimla, while you enjoy a welcoming stay at OYO 13740 Home pleasant View 1BHK Apartment Panthaghati.